On An Overgrown Path: What price classical music's new audience? What price classical music's new audience? At a recent concert by the Orchestre Philharmonique de Marseille in the city's uber-cool but acoustically atrocious Silo auditorium - see photo above - I found myself sitting behind two parents and their three young children. Now the youngsters were as attentive as you can expect sub-teenagers to be during a performance of Mahler's Des Knaben Wunderhorn; but the same cannot be said of their parents. For the first fifteen minutes of the song cycle the father answered emails on his smartphone. He then proceeded to unwrap a picnic with much rustling of paper, and consumed - among other culinary delights - a large and very crunchy baguette stuffed with seriously malodorous cheese. This Marseillaise audience was now on a roll, or rather a baguette; so they followed the fashionable example of Proms audiences by not waiting until the end of the Mahler to express their appreciation. But they were less familiar with Des Knaben Wunderhorn than their London counterparts. Which meant they applauded during, rather than between, the song settings; which prompted conductor Yaron Traub to raise his hand in admonishment. But at this point the audience was three goals up over the music, and victory was sealed by another killer move. Liszt's First Piano Concerto came after the interval, and during the Concerto the mother's phone rang loudly. She then proceeded to answer it, following which she discussed the call with her husband - all while the band played on. Now I may be a grumpy old concertgoer; but this is not the first, second or third time that my appreciation of a concert has been destroyed by the intrusive behaviour of audience members in general, and by the curse of the mobile phone in particular. Over the years I have attended very many concerts and contributed a lot in ticket revenue; but it is coming to the stage where I am questioning whether it is now all worth it. Of course classical music needs new audiences. But at what price? For every benefit - new audience members - there is a cost. And one of the conveniently overlooked costs of the 'democratisation' of classical music is the loss of the core audience. Once again there has been much trumpeting about the number of first-time concertgoers at the BBC Proms - 37,500 in 2015. But this means that with attendances flatlining, 37,500 people - around 9% of the total Proms audience - who had previously attended a concert did not come back. As classical music audiences are likely - at best - to remain static, much more focus is needed on the 'churn' - replacement of core by new concertgoers - within the total audience. Understanding this churn is very important because it can be proposed that the audience that is being displaced was loyal, while the new audience is fickle. The problem is quite simple; in the frantic drive to attract a new audience, the classical music community has conveniently forgotten that it also needs to retain its loyal existing audience. 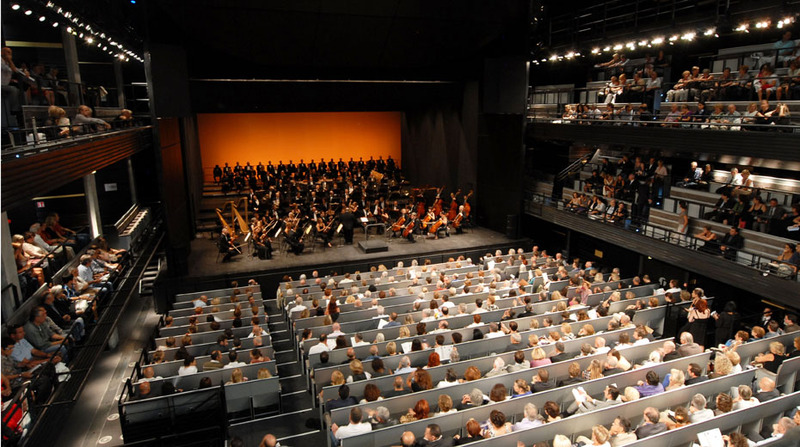 I paid for our two tickets for the Orchestre Philharmonique de Marseille concert. Also on Facebook and Twitter. Any copyrighted material is included as "fair use" for or critical analysis only, and will be removed at the request of copyright owner(s). But surely there is a significant proportion of the Proms audience who are tourists, and therefore there will always be those that don't return as they're holidaying elsewhere...? Yes, a proportion of the Proms audience is tourists. But even the most optimistic estimate would put the figure far below 9%. This thread simply serves to underline that we need to know a lot more about the churn within the classical music audience before making self-congratulatory statements about the number of first time concertgoers.